At Local 1000A, nothing is more important than improving and protecting the rights and livelihoods of our members. That’s why for more than 60 years we have dedicated ourselves to creating a better future for working people across Ontario. Along the way, we have built a reputation for standing up and winning what matters most to workers and their families including: fair wages and benefits; respect and dignity in the workplace; protection from unfair discipline and termination; healthy and safe work environments; retirement security; minimum wage increases; job security; and much more. Thanks to our strong track record and experienced staff, we have grown into one of the largest private sector local unions in the province. 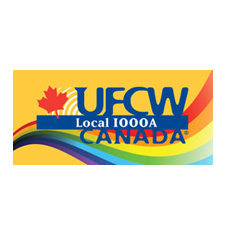 With nearly 30,000 members, we are also among the largest local unions in the 230,000-member United Food and Commercial Workers (UFCW) Canada and in the 1.4-million member United Food and Commercial Workers (UFCW) International Union.